This Caramel Stuffed Spiced Brownies recipe is as every bit as intriguing and decadent as it sounds. Picture a cayenne-spiced, fudgy brownie with loads of golden caramel oozing out of every bite! Do you remember these super loaded fudgy brownies? They’re super chocolatey, dense, fudgy and magically gluten-free brownies loaded with hazelnuts, chocolate chips and raisins—they’re a must try- recipe too!! They’re like the perfect brownies base recipe. These Caramel Stuffed Spiced Brownies are a version adapted from that perfect brownie base recipe, only spiced up a little, and infused with oozing caramel! It’s no secret that anything tastes better with chocolate. The secret here is, cayenne spice can make chocolate taste BETTER!! You’ll taste a strong, deep chocolate flavor with a bit of heat that’s so perfectly rounded off with a sweet smooth vanilla caramel oozing in your mouth with every bite! Let me stress again, the spice is really optional for these Caramel Stuffed Spiced Brownies, but very recommended! It’s just a pinch and it’s a miracle how it elevates the chocolate flavor. Also, it really cuts down the sweetness of the caramel. 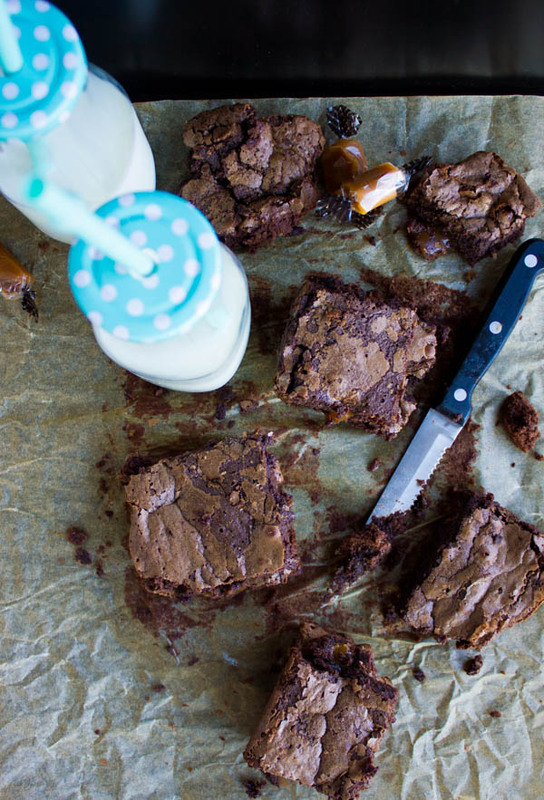 This brownie recipe comes together using a bowl and whisk. It starts by melting some chocolate chips, butter and oil in a microwave (the oil adds plenty of fudgy chewy character to your brownies while the butter adds the richness and flavor you want). Then the eggs go in, along with some sugar, a tiny bit of flour (use gluten-free oat flour for a gluten-free Caramel Stuffed Spiced Brownie), a pinch of salt and spice, and that’s it! Spread the batter in a parchment lined 8-inch square pan. Now for the caramel: If using store-bought caramels, scatter the chunks of caramel on top of the spiced brownie batter and push them in gently. As the Caramel Stuffed Spiced Brownies bake, the caramels will sink in eventually. If you’re using the homemade caramel sauce recipe, dollop a teaspoon at a time of caramel and push the dollop into the batter nearly all the way. 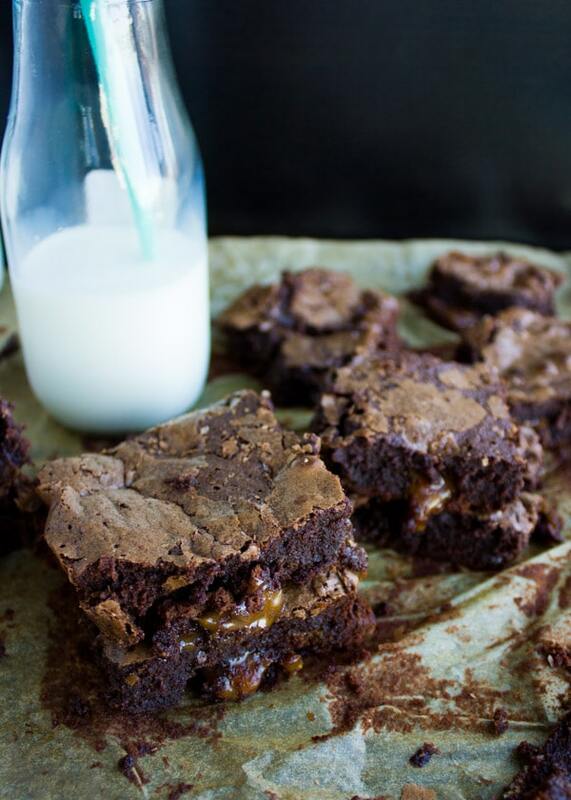 Bake the Caramel Stuffed Spiced Brownies for 20 mins . Then, wait patiently for the brownies to cool down (about 10-15 mins) before cutting and devouring them! 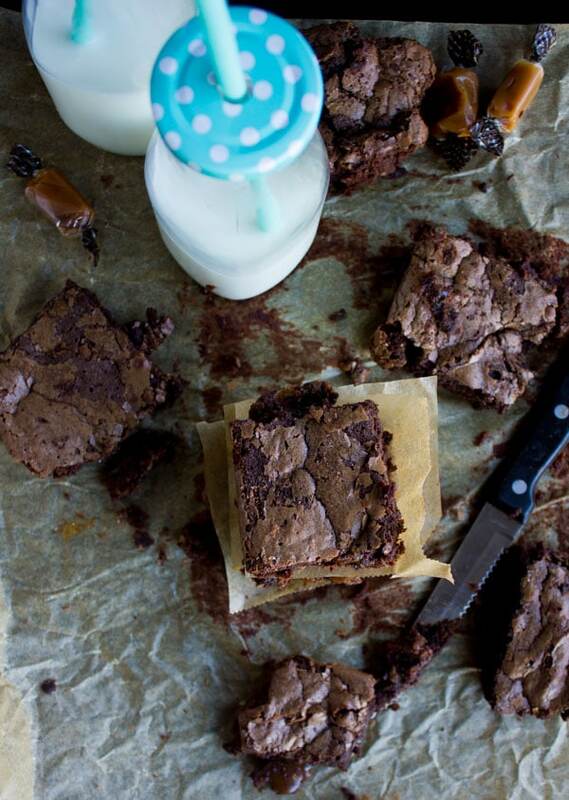 Ok, serious brownie lovers! 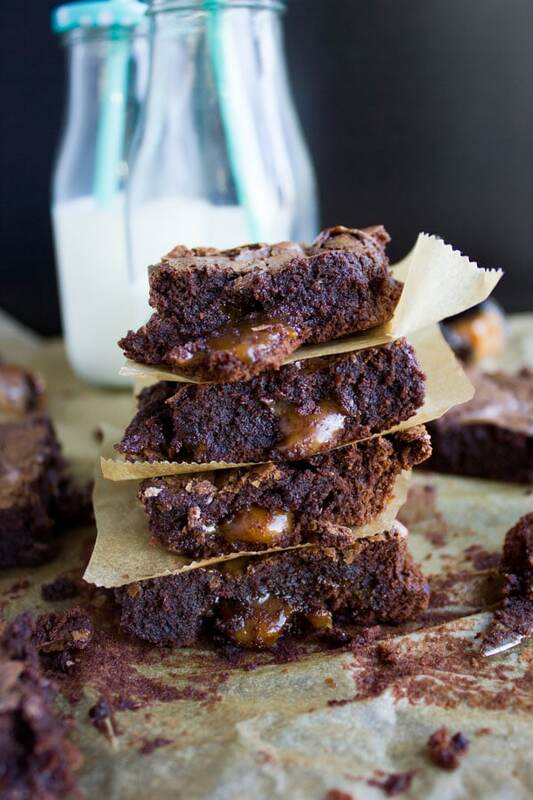 I will leave you with these seriously DIVINE Caramel Stuffed Spiced Brownies so you can make them and enjoy! 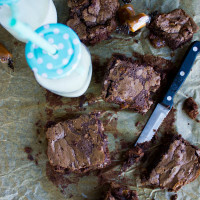 For the caramel part in these Spiced Brownies, I use ready store-bought caramels or use this homemade caramel sauce recipe and cut the cream in half. Let the sauce cool completely before using it. Store-bought caramels will give you a slight bite when the brownies cool completely, while the homemade caramel sauce won’t. In this recipe for Caramel Stuffed Spiced Brownies, I am using ready store-bought caramels because I had a ton left over from the holidays. 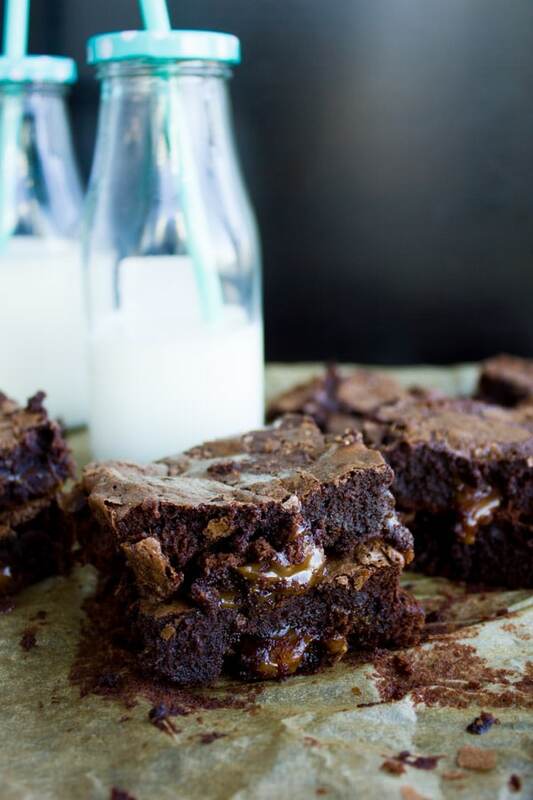 Do you want to make a gluten-free version of these Caramel Stuffed Spiced Brownies? Use oat flour instead of all-purpose. 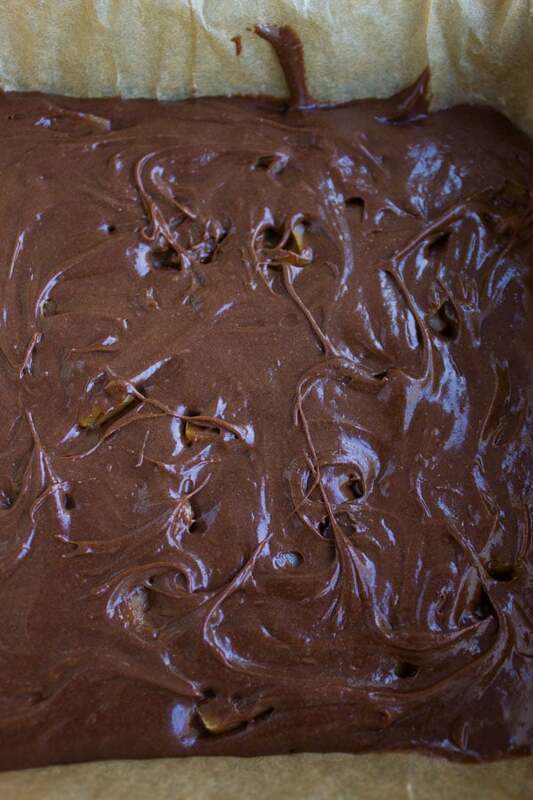 Add a pinch of cinnamon along with the cayenne pepper for Mexican chocolate-inspired brownies. Use this recipe for making caramel sauce yourself. Line an 8X8 inch square pan with parchment paper and let the parchment paper overhang on any two opposite sides of the baking pan. In a large microwave-safe bowl, add the butter, oil and dark (or semi-sweet) chocolate pieces. Microwave the bowl for 1 minute and using a whisk, mix the butter-oil-chocolate mixture until it melts completely. It may need another 10-30 seconds in the microwave but whisk it well before microwaving it longer than the 1 minute. To the melted chocolate, add the sugar, eggs, salt, spice, cocoa powder, oat flour and whisk them well. Add the chocolate chips (optional). 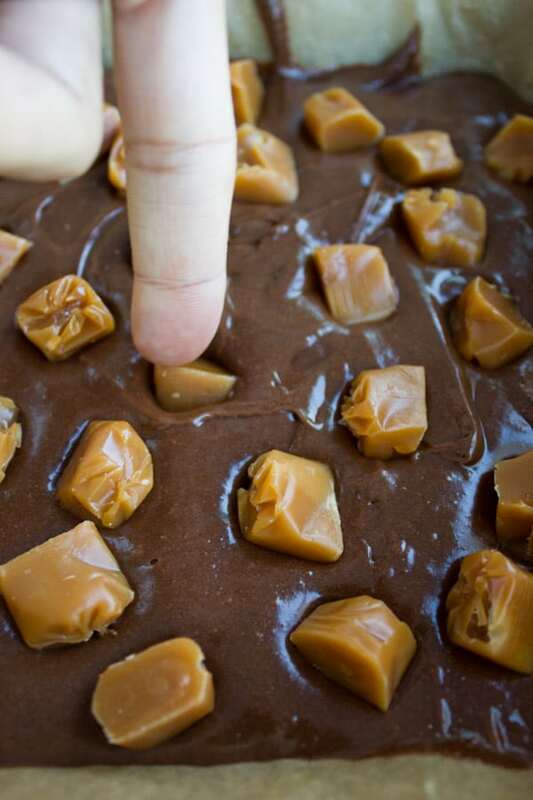 Pour the brownie batter into the prepared baking pan and dollop the caramel pieces (if store bought) all over the surface of the brownies, then gently push them down all the way through. Swirl the brownie batter with your fingers to cover up the caramels. If using homemade caramel sauce, make sure the sauce has cooled. Take a teaspoon at a time of the caramel sauce and dollop it into the batter (scattered leaving half an inch apart) and push the caramel down from the spoon into the batter. Swirl the batter over the caramel as best you can (it doesn't have to be perfect). Bake for 18-22 minutes. The brownies will puff slightly. Cool the brownies in the pan for 10 minutes before lifting the brownies using the overhanging parchment paper. Slice and serve. Store-bought caramels will give you a slight bite when the brownies cool completely, while the homemade caramel sauce won't. In this recipe for Caramel Stuffed Spiced Brownies, I am using ready store-bought caramels because I had a ton left over from the holidays. 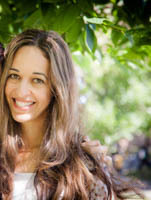 Oh my word Mahy! These brownies look insane! There aren’t many recipes that make me want to run straight to the kitchen to get baking but for these.. I would totally reschedule my evening! Love both the caramel and spice! I’ve never had chocolate spiked with cayenne pepper. 🙂 But I think I get it. It’s like adding a touch of coffee powder to bring out the flavor of chocolate. Love love love these brownies! Oh boy. I was craving chocolate already but now I NEED chocolate. This looks fantastic. So, so good. I love your photographs. They really are drool worthy 🙂 top work! Yum! Very tasty looking. You had me at chocolate, and then you added caramel and that was it. 🙂 I love adding spice to chocolate. I completely agree that the spice makes it taste better, and often have a little cayenne in my hot chocolate.